Chilly night ahead. 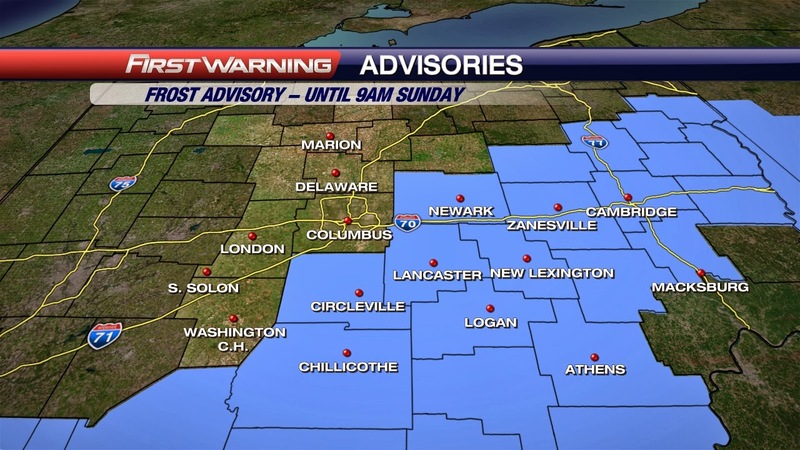 We have a Frost Advisory form a decent portion of the viewing area. Be sure to tend to any tender vegetation that you want to survive. Overnight lows will be in the mid and lower 30's. It was a bit of a soggy first half of the day. The rain cleared out as expected just before the Ohio State game, but I helped set up the family tailgate in the rain. 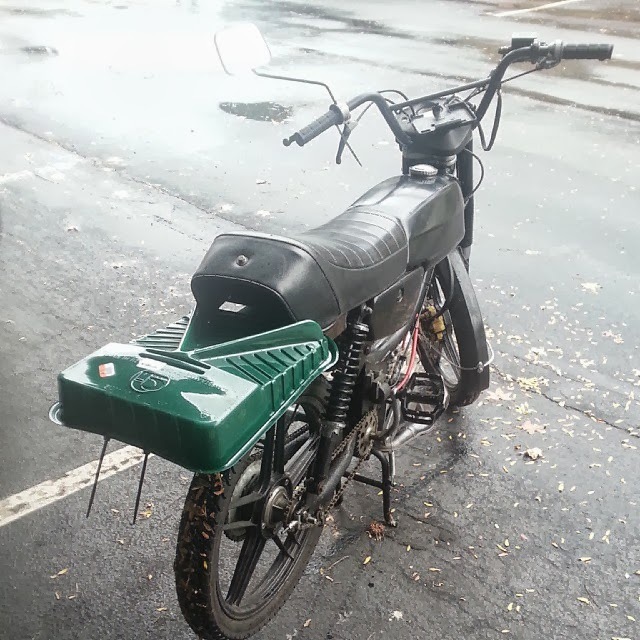 I normally avoid riding my moped in the rain and I remember why now. I don't run a rear fender and my back side was SOAKED on the three mile ride there. So I bought a $1 paint tray and zip tied it on... worked great and my ride home, before work, was MUCH drier since the wheel was not spraying me. The rain is gone and the skies are clearing for tonight. I don't expect fog to be a widespread issue because of a decent breeze. More sun for Sunday with a few clouds as well, especially across the Northern half of Ohio. Rain returns for Monday night with the cold blast of air to follow. Wednesday there looks to be a bit of a wintry mix. It looks like maybe some flurries early and then when we warm up some switch to mainly scattered light rain showers and maybe a few flurries later once we cool back off. A few flurries for Thursday are possible as well. The models can't agree on the timing just yet. Either way, they all agree it will be fairly light and COLD. Be back tomorrow with another update. Have a good one!